At a time when unity and stability in Europe are at risk, the need for visionary leadership, consensus-building, and a strong unified voice for Europe in the world has never been greater. Your contributions support ECFR in conducting independent, cutting-edge research, shaping pan-European debates, and building pan-European coalitions to address the biggest challenges and choices Europeans are facing in bringing about policy change. To learn more about ECFR’s hallmarks and impact, please click here. To read more about ECFR's strategic framework, please click here. To safeguard the continuing independence and objectivity of its research, events, publications, and other outputs, ECFR upholds the principles of integrity, independence, objectivity, and accountability in accepting any funds. This approach ensures that all our activities contribute to ECFR’s mission and public benefit. For detailed information on ECFR’s funding principles, please click here. Our latest audited accounts can be viewed here. ECFR is a registered charity and gifts to ECFR are tax deductible as permitted by law. For detailed information, please contact Anna Kuchenbecker. ECFR relies on a broad range of support from foundations, governments, corporations, and individuals. 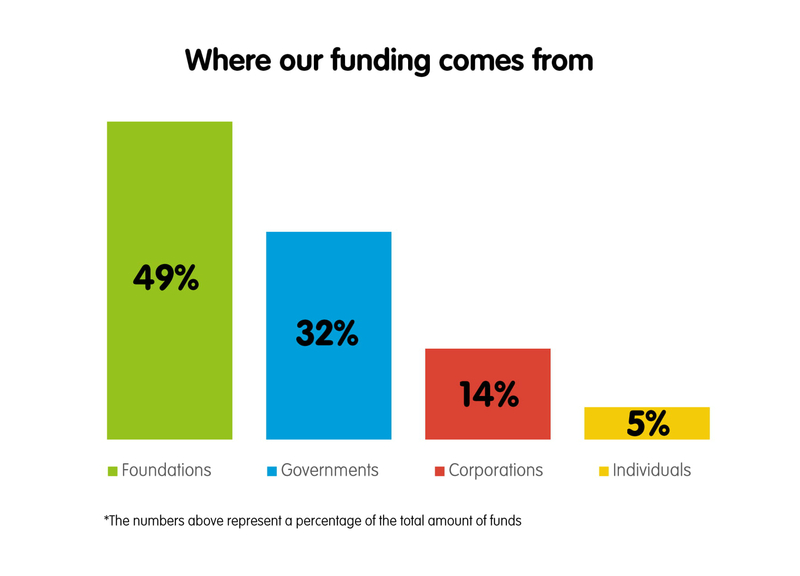 The diversity of funding sources is critical to ensure the independence of our organisation. ECFR welcomes support from individuals and highly appreciates the engagement of those who share our belief that a strong European voice in favour of human rights, democracy and international law will not just benefit Europeans, but will be good for the world. ECFR works with each supporter individually to develop appropriate ways to engage with our organisation. Apart from donations in cash or securities, individuals may consider supporting ECFR through a bequest or other planned gifts. Since its inception, ECFR has established itself as the partner of choice for European governments and corporations when it comes to assessing European foreign, security and defence policies. We offer a deeper understanding of geopolitical trends and forward-looking analysis on the most important regions and challenges. ECFR also offers several avenues of engagement for companies who appreciate our independent research, empirical inquiry, and future oriented analysis as they assess geopolitical risks and navigate international markets, including corporate partnerships, event sponsorships, and project support. If you wish to learn more how your company can partner with ECFR, please contact Alba Gomez. ECFR has become a partner for change of a broad range of foundations, who share ECFR’s core conviction that a strong European voice in favour of human rights, liberal democracy, and international law will not just benefit Europeans, but will be good for the world. Daily, ECFR strives to translate these shared principles into practical policy. The support of like-minded foundations has been, and continues to be, vital in these efforts. Please contact us for more information on how your foundation and ECFR can join forces to tackle the big challenges and choices Europeans are facing, and to promote the change that Europe needs. ECFR has ambitious plans as it enters the second decade of its existence. In a fragmenting Europe, we envision a more networked ECFR that focuses on countering Europe’s centrifugal tendencies and that makes the case for cooperative European solutions to foreign policy challenges. To be effective, we believe it is key to understand national agendas and debates, develop fresh ideas, frame arguments for a common European foreign policy in ways that resonate in national capitals, and to reach out in new ways to sceptical audiences. Your core support enables us to allocate funds where they are needed most and give us the necessary flexibility to respond with new ideas in a world that has become far more unpredictable. ECFR is the only think-tank that has a truly pan-European footprint, with offices in Berlin, London, Madrid, Paris, Rome, Sofia, Warsaw, and a presence in Brussels. The national offices serve as incubators of new ideas and forums for debate between policy makers, thought leaders, and the wider public. Their goal is to explain their respective country to Europe and vice versa. This unique structure allows ECFR to understand and influence the debate in key national capitals, building networks with policymakers and journalists in each country, and making sense of the big policy foreign policy questions that drive different EU member states. The welfare and protection of the EU’s nations and citizens will heavily depend on its ability to develop cooperative European solutions to the key foreign policy challenges. Therefore, ECFR’s research expertise is centred on four programs and areas: Asia & China, Middle East & North Africa, European Power, and Wider Europe. In all these fields, our policy experts are highly regarded and known to be the leading minds on their subjects and are frequently published in key media outlets. ECFR experts are regularly invited to present their research and findings in private briefings for heads of state, ministers and leading EU representatives, or to be part of official consultation processes and hearings of national, EU or United Nations institutions. Many of our staff have been invited to advise governing bodies at national, EU or UN level. Throughout the year, ECFR hosts a series of events at our national offices or at the pan European level, including our leading annual gathering on European foreign and security policy – ECFR’s Annual Council Meeting. Past meetings have gathered memorable insights from high profile speakers, such as George Soros on the financial crisis; Jeroen Dijsselbloem on the consequences of Brexit for the Eurozone; UN High Commissioner for Refugees, Filippo Grandi, on the refugee crisis; and Catherine Ashton on building the European External Action Service.